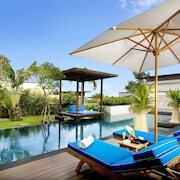 Situated by the sea, this hotel is within 12 mi (20 km) of Kuta Beach, Nusa Dua Beach, and Legian Beach. 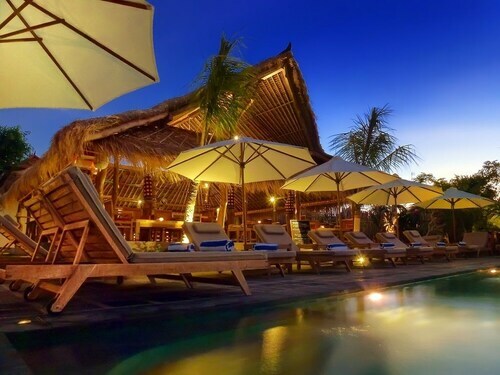 Seminyak Beach and Eat Street are also within 16 mi (25 km). 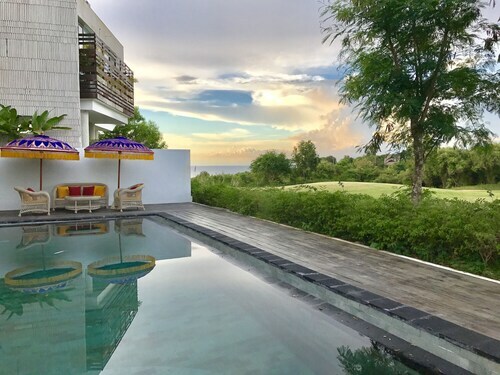 Offering direct access to the beach, this Jimbaran villa is next to a golf course and within 2 mi (3 km) of Balangan Beach and New Kuta Green Park. Nestled on the beach, this Jimbaran hotel is within a 10-minute walk of Balangan Beach and Bingin Beach. Dreamland Beach and New Kuta Golf are also within 2 mi (3 km). 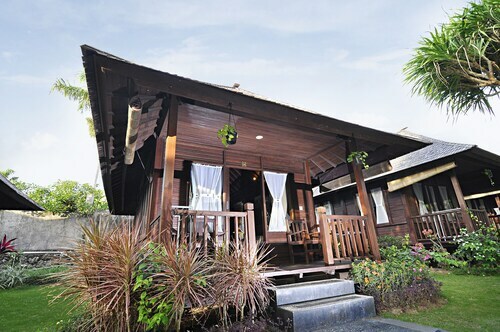 Situated near the airport, this spa resort is within a 5-minute walk of Balangan Beach and Bingin Beach. New Kuta Golf and Dreamland Beach are also within 2 mi (3 km). 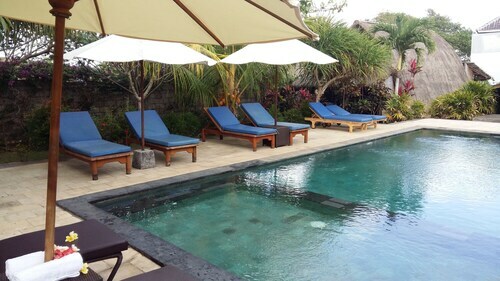 Offering direct access to the beach, this Jimbaran hotel is within a 10-minute walk of Balangan Beach and Bingin Beach. Dreamland Beach and New Kuta Golf are also within 2 mi (3 km). 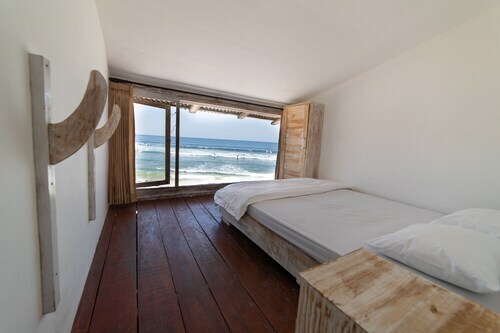 Situated on the waterfront, this guesthouse is within a 10-minute walk of Balangan Beach and Bingin Beach. New Kuta Golf and Dreamland Beach are also within 2 mi (3 km). 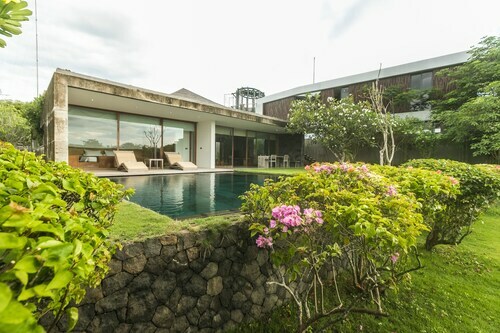 Situated in Jimbaran, this golf villa is within a 10-minute walk of Bingin Beach and Balangan Beach. New Kuta Golf and Dreamland Beach are also within 2 mi (3 km). Situated in Jimbaran, this golf bed & breakfast is within 12 mi (20 km) of Uluwatu Temple, Tuban Beach, and Kuta Beach. Lippo Mall and Nusa Dua Beach are also within 12 mi (20 km). 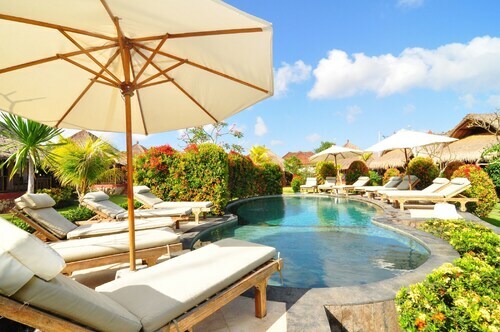 Situated by the ocean, this villa is close to Balangan Beach, Bingin Beach, and Dreamland Beach. Local attractions also include Padang Padang Beach and Jimbaran Beach. 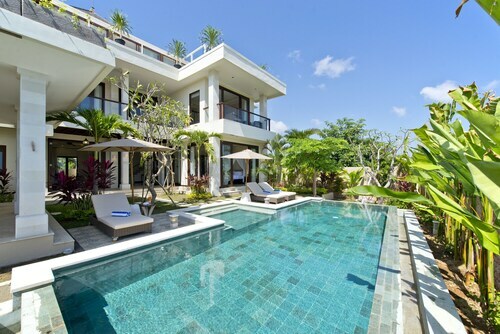 Situated in Pecatu, this golf villa is within 1 mi (2 km) of Dreamland Beach, Balangan Beach, and Bingin Beach. New Kuta Golf is 0.7 mi (1.2 km) away. 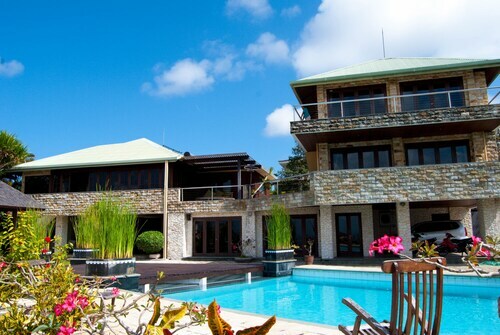 Situated by the sea, this villa is 1.2 mi (1.9 km) from Dreamland Beach and 1.8 mi (3 km) from Balangan Beach. Uluwatu and Garuda Wisnu Kencana Cultural Park are also within 6 mi (10 km). 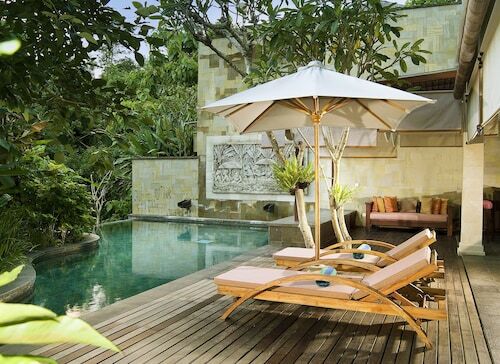 Situated in Jimbaran, this villa is within a 10-minute walk of Balangan Beach and Bingin Beach. Dreamland Beach is 1.6 mi (2.5 km) away. Want to find out some more about Balangan Beach before you book? Here are a few handy pointers. 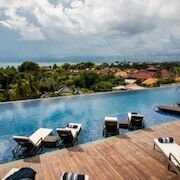 The locals are sure to tell you that it's up there the best places in Jimbaran, a destination that sits roughly 960 kilometres from Jakarta, the national capital. Organise to stay at one of the 48 accommodation options within an easy commute of Balangan Beach. Nearby ones are the C151 Luxury Villas at Dreamland (2 kilometres), the AYANA Resort and Spa BALI (2 kilometres) and the Anantara Uluwatu Bali Resort (2 kilometres). Spend your cash on seeing the sights, not your accommodation! Stay at the Balangan Cottage, 2 kilometres away. Do you like to feel pampered? 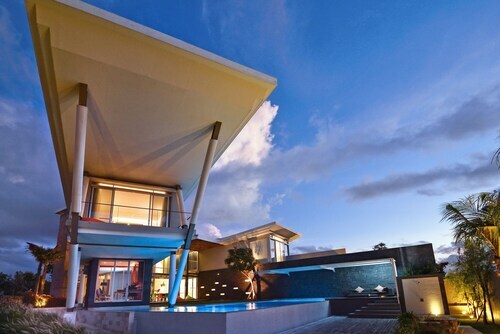 Then splurge a bit and select one of the many high-end hotels in the immediate area. Consider the RIMBA Jimbaran BALI by AYANA, 2 kilometres away. 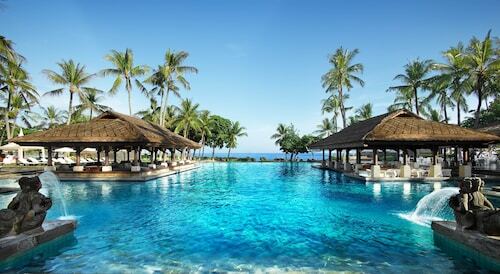 The Le Grande Bali, 2 kilometres away, is also a suggested spot. For a boost first thing or an afternoon pick-me-up, grab a tea at Maria's Cafe. You can find it easy walking distance from Balangan Beach. When it's time to have dinner, go to Klapa New Kuta Beach. If you're keen to chill with a refreshing drink, Pantai Kubu is just right. Escape the heat at New Kuta Green Park, a place that offers water-based entertainment for everyone. 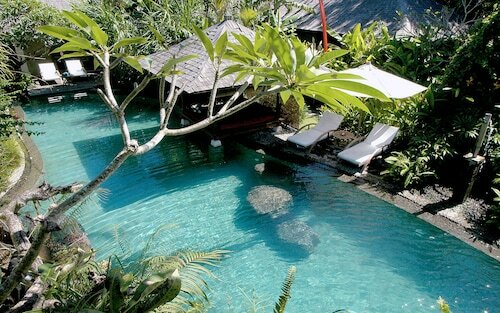 Pura Balangan will leave you in awe of its enchanting beauty and serene atmosphere. Nothing compares to the serenity of sprawling by the sea. Be sure to venture to New Kuta Beach. Aim for a birdie and try not to get lost in the bunkers as you tee off at New Kuta Golf. At Bingin Beach, the sand and salty sea air await. So pack yours thongs, and take off to enjoy the atmosphere. How Much is a Hotel Room in Balangan Beach? 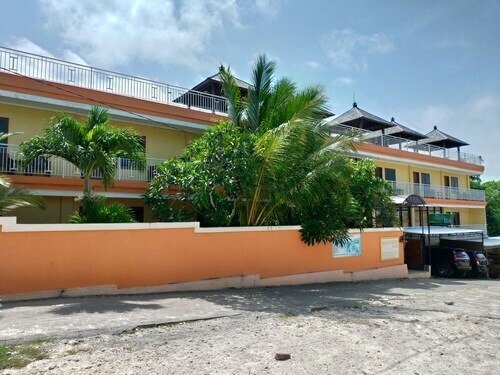 Hotels in Balangan Beach start at AU$20 per night. Prices and availability subject to change. Additional terms may apply.